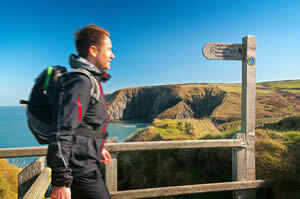 Visit Wales has agreed with both Trip Advisor and Expedia to display official Visit Wales ratings on their websites. This demonstrates the importance that both Trip Advisor and Expedia place on official ratings and will bring added value to Welsh product on global platforms. Visit Wales partners will therefore reach a wider audience through the association with TOMTOM and HERE, who integrate Welsh product into their location-based data solutions that display on the systems of 22 large commercial organisations.